As a real estate investor, ranking locally is crucial for getting leads to your business. If you’re not an online marketer then local ranking issues with real estate investing websites is inevitable. Trust us, it’s more common than you’d think. The solution isn’t necessarily to boost your SEO efforts. Let’s go over how to trouble shoot you local ranking issues so you can get back to the top of Google searches in your target area! This doesn’t mean “spam” like the type you get in your email inbox. When we say “spam” here, we’re referring to stuffing your website with keywords, bad links, and having too many categories. A great way to know if you’re breaking these rules and spamming your website is by going over the Google guidelines for representing your business, that way you won’t fall victim to these local ranking issues with real estate investing websites. If you’re doing the things mentioned below, then you’re hurting your real estate investing website’s local ranking. Make sure you aren’t doing these things by double checking the guidelines for representing your business! creating listing for ineligible places, people, or office locations. Doing these things will definitely result in your real estate investing website not ranking high in Google searches. If you don’t have to time to rework all of your pages, or go through them to make sure you’re following Google’s guidelines, we offer an SEO service that stays within Google’s guidelines so that your real estate investing business won’t be penalized! If your real estate investing website was verified one day and then unverified the next, it’s most likely because of a soft suspension. A soft suspension is when you log in to your Google My Business account and see the “suspended” label. This means you’re no longer able to manage your website listings. 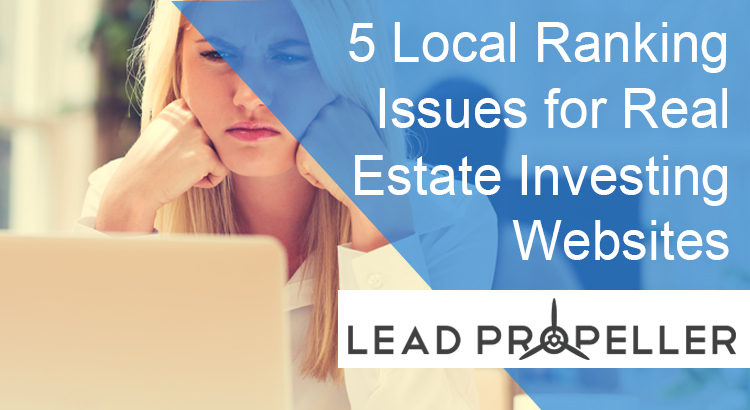 Although this is an inconvenience, this typically isn’t the reason your real estate investing website will rank low in local searches. The next type of suspension is hard suspension. You can tell that this has happened if your ranking has completely disappeared and you can’t find the listing anywhere, even in branded searches. Unlike a soft suspension, a hard suspension means your listing has been completely removed from Google, “Including all the reviews and photos” (Search Engine Land). This is the type of suspension that will definitely causes local ranking issues with real estate investing websites. If you notice either of these types of suspensions, go back over the Google guidelines and see what you did that was against the rules. If you can’t find anything, or think there is a mistake somewhere, your first option is going to the Google My Business forum and getting advice from other users so you can correct your mistakes. The next thing you need to do is get the local business site reinstated. Keep in mind, this is a lengthy process. The best thing to do is follow the rules from the start. If you have exact duplicate listings you can get in touch with Google and ask them to merge the pages. That way you won’t have to go through the process of deleting a page. You also shouldn’t be penalized for that, which is good. If the listing isn’t an exact match, edit the page and click the radio button, select “never existed” and boom, you’re done! 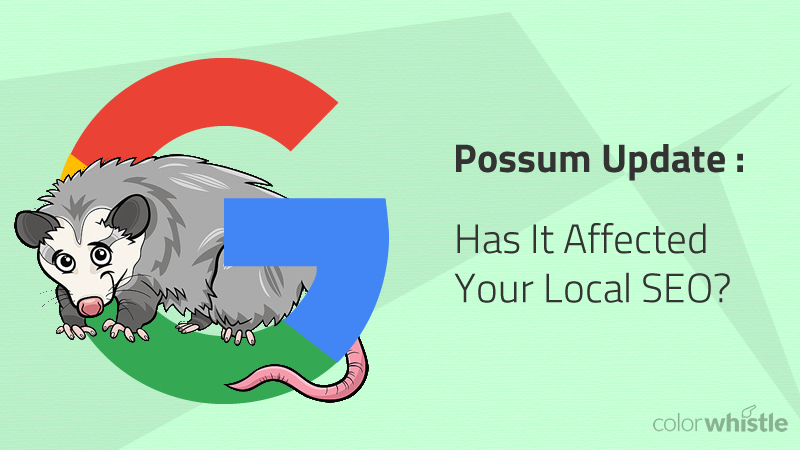 If your local rankings are completely gone, there’s a chance that you’re having a Possum problem. This may or may not apply to your real estate investing business because it typically happens when there are more than one office in a single building. This causes local ranking issues with real estate investing websites because the other businesses can overlap on top of your when you’re looked up on a map. This can be an issue for real estate investors because of what we talked about in our article about boosting your local ranking. What exactly is Possum, though? It’s one of the Google updates that got pushed in fall of 2016 that can have problems with geographic locations when they’re too close to them. While we understand you don’t need a full brick and mortar building, you also can’t have a Google My Business address that’s a PO Box. Unless you’re comfortable with your home address open on the internet for anyone to find, that leaves you renting an office box in a corporate building for your real estate investing business. Because of that, you run the risk of having your business’s location trapped under the other business’s in that same building. That is the Possum problem. However, it’s not something that’s a serious ranking issue. That being said, fixing the issue is a long-term goal. You have to make sure you’re the most authoritative business in your building. For a real estate investor, that doesn’t mean that the other businesses you share a building with are competition. All it means is that you need to build your content and backlinks to show Google that you’re an authority in real estate investing. That way your building location will show up in map searches because Google will know that you’re important. You can build your online presence with the tips from our Online Marketing Trends article here! This is…a lot. The good news is that you’re not alone. We understand that you’re a real estate investor, not an online marketing or search engine optimization expert. We get it. You have much more important things to do with your time than scan your website for problems in your SEO. That’s why we have a professionally managed SEO service made specifically for real estate investors. 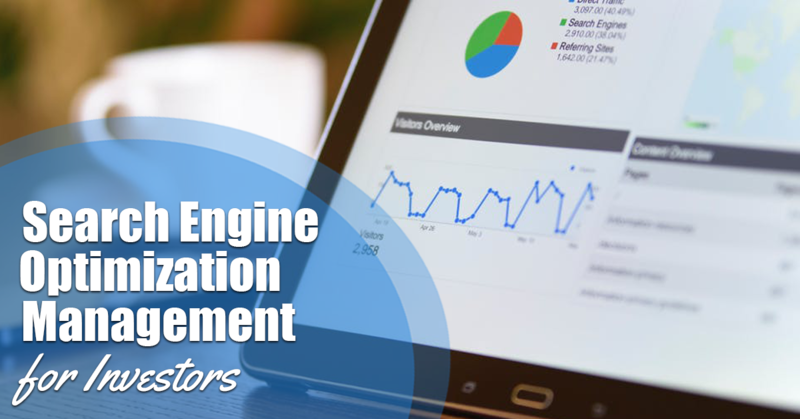 Our in house team of search engine optimization experts work with real estate investors everyday. We know what your target audience is looking for, and we know how to get you in front of them. Have a question about our services, or want to know how to get started? Give us a call today at (210) 999 – 5187. We would love to talk to you about your real estate investing business and build your online presence!